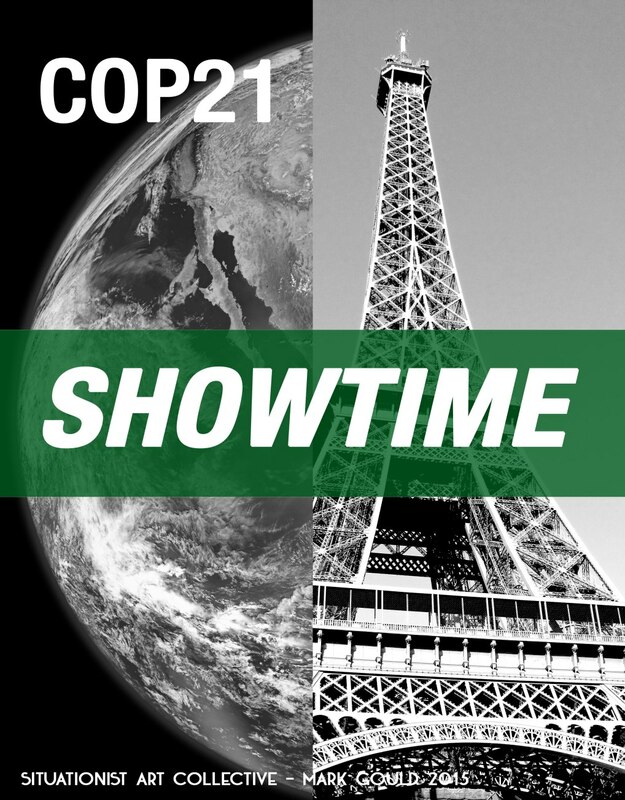 Today, WBCSD launched another initiative to privatize ecosystems — Natural Infrastructure for Business — and to capitalize on the Breakthrough Energy Coalition boondoggle hyped by the financial elite at COP21. The Clean Energy Ponzi Scheme and the ‘new economy’ — false hope marketed for the financial elite by Havas, Avaaz and 350 — now has its sights set on privatizing the planet. 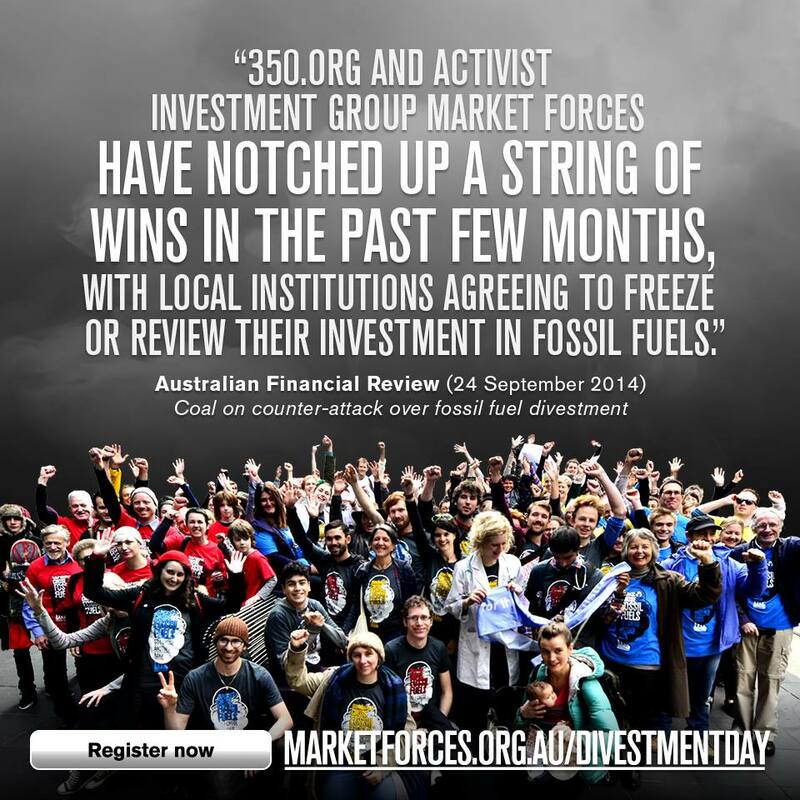 Below is the message I provided today with my 1 star Facebook review of Market Forces, the Australian divestment campaign group who work closely with 350.org, Lock the Gate Alliance, and Greenpeace. A friend called my reviews of green groups using the star rating functionality “social media arbitrage” after I discovered that Greenpeace Australia Pacific had removed their star rating functionality following my comments. Star ratings can’t be removed if they don’t breech standards, if you really don’t want the public to see a comment you have to remove the functionality altogether which is what Greenpeace Australia Pacific did. Big greens like Greenpeace and 350.org don’t like to engage in discourse. They are happy to have Kumi Naidoo and Bill McKibben declare that it’s time for civil disobedience and then preside over a bunch of well promoted proof-of-concept actions, but when it comes to frontline action they are fundamentally exploitative. If you don’t believe me you just have to compare the social media feeds between Frontline Action on Coal and their alliance partners. BigGreen have caved in to main stream media’s dislike of content from the frontline where people are materially slowing the progress of mining. One of the very many Market Forces Facebook memes. Some of these have congratulated HSBC, CitiBank, Deutsche Bank, JP Morgan Chase, Barclays, Morgan Stanley, Credit Agricole, and so on. American Israel Public Affairs Committee (AIPAC) Brookings Doha Center Brookings Institute Carlyle Group CIA Goldman Sachs. ISIL ISIS JP Morgan Chase Saban Centre for Middle East Policy Washington Institute for Near East Policy Which Path to Persia? Is the US planning the occupation of Syria by training an unconventional insurgent invasion force? Think regime change in Syria is off the drawing board? Think again. 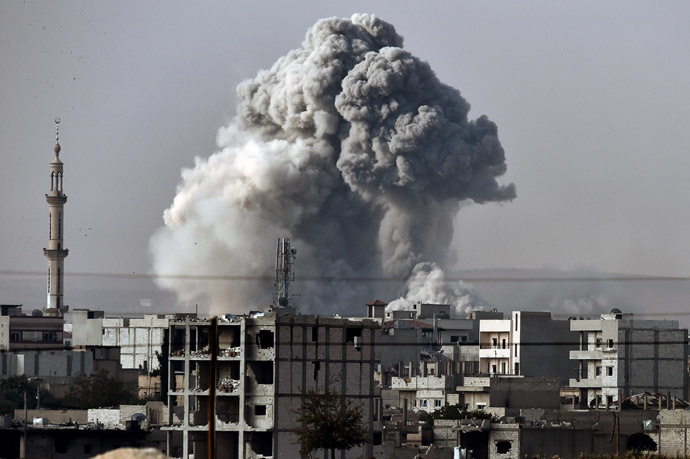 The bombing of the ISIL or ISIS in Syria is part of a brinkmanship campaign leading up to a potential non-conventional invasion, parallel to the re-introduction of the US military to Iraq. The ISIL and the other anti-government forces in Iraq and Syria are not the only ones to disregard the Iraqi-Syrian border drawn by the British and French by Sykes-Picot in 1916. The US also disregarded the border and international law when it began to illegally bomb Syria. The bombing campaign was not enough for some in the US Congress. In a joint statement on September 23, the arch-hawks US Senators John McCain and Lindsey Graham called for US troops to be sent into Syria too. Both of them praised the Pentagon’s illegal airstrikes in Syria and then argued for US ground troops as well. Although McCain and Graham went out of their way to say that this would not be an occupation of either Syria or Iraq, this is almost exactly what they were calling for when they said that the military campaign had to also be directed against the Syrian government. Since, and even before the calls for an invasion of Syria by McCain and Graham different suggestions have circulated about an invasion of Syria. The dilemma is that Washington does not want the Pentagon to directly invade Syria itself. It wants to pull the strings while another force does the work on the ground. Candidates for an outsourced invasion of Syria include the Turkish military or other US regional allies. There, however is also an impasse here as Washington’s allies are also afraid of the consequences of an invasion of Syria. This is where a third opinion comes into the picture: the construction of a multinational insurgent army by the US. While there seems to be no consensus on a Syrian strategy within the US political, intelligence, and military establishments, the objective of regime change is universally adhered to across the board. Regardless of the existence of a consensus, the US is moving ahead with the creation of an anti-government invasion force. The third option is slowly emerging. A few days after the US began the bombing of Syria, the Chairman of the Joint Chiefs of Staff General Martin Dempsey made it clear that the Pentagon also planned on creating a viable anti-government army in Syria consisting of 12,000 to 15,000 insurgents. There also seems to be a growing consensus among the realist and neocons for US President Obama’s preference of using a rebel army to invade Syria. The Brookings Institute has been a major cheerleader for this. Pollack played an influential role in getting support for the illegal 2003 invasion of Iraq. He worked at the Council of Foreign Relations as its director of national security studies. He made the above statement as the director of research for the Saban Center for Middle East Policy and goes well beyond it by publishing a drawn-out October 2014 proposal for creating a US-made rebel invasion force as a means of taking over Syria and eventually conducting regime change in Damascus. The Brookings Institute proposal suggests that a rebel Syrian army “is best not done in Syria itself. At least not at first” (p.9). The report points to the US and NATO success in “covertly” creating armed forces around the world, including the assembly of a Croat military, and deduces that these experiences would make it “entirely realistic for the United States to build a new Syrian opposition army” (p.8). It also says that the ideology of the fighters does not matter by stating the following: “A great many of those recruited may well be religious, even highly religious, including Salafist. That is not the issue” (p.9). What is the Brookings Institute exactly and why do suggestions from this think tank and others like it, matter? The Brookings Institute is an influential think tank that has a revolving door of personnel with the US government and major corporations. All that one needs to do is look at its trustees and executives, which include interlocked directorships with the Carlyle Group, Goldman Sachs, and JP Morgan Chase. Brookings also has ties to Israel and a full branch dedicated to Washington’s Middle East strategies and policies called the Saban Centre for Middle East Policy. Martin Indyk – the former US ambassador to Israel, a former high-level lobbyist for the American Israel Public Affairs Committee (AIPAC), and the founder of AIPAC’s research arm (the Washington Institute for Near East Policy) – is the Director of the Saban Center for Middle East Policy at Brookings. Like Indyk, Kenneth Pollack was involved in shaping the Middle East policies of the Clinton Administration. It is also worth noting that the Brookings Institute’s Saban Center is named after US-Israeli businessman and media mogul Haim Saban. Saban himself is on the board of trustees for Brookings. There is a Qatari connection too. One may remember that Washington was hostile towards Al Jazeera when it first emerged as a news broadcaster, because of its coverage of US actions in the Middle East. Saban tried to buy half of the Al Jazeera network from Qatar in 2004 and 2009, but failed. In the same timeframe as the 2003 Anglo-American invasion of Iraq, the first set of negotiations happened when he went to Qatar with Bill Clinton in 2003. It is possible that Brookings may have played a role in pacifying Al Jazeera. In 2009, the Institute setup an overseas branch in Qatar called the Brookings Doha Center. The new chapter in Doha included Qatar’s ruling Al-Thani family alongside people like Madeleine Albright, Zbigniew Brzezinski, and Fareed Zakaria as chairs and advisors. It was in the same year that the Brookings Institute published a report, which included Pollack and Indyk as authors, called Which Path to Persia? The report outlined a map for confronting Iran and alluded to the neutralization of Syria, in one way or another (including the procurement of a peace agreement with Damascus by Israel), to “mitigate blowback” from Lebanon’s Hezbollah and the Palestinians, specifically Hamas, as a prerequisite for an enabling an attack on Iran. All in all, the ideas that come out of the Brookings Institute are discussed at the highest levels within policymaking and corporate circles. Is the Syrian Invasion Force Slowly Emerging? Is a rebel invasion force emerging to attack Syria? In no uncertain terms, Brookings argues that it is. Pollack’s report stipulates the following: “Adopting such a strategy would mean first and foremost that Washington would have to commit itself to building a new Syrian army that will rule Syria when the war is over. Although [Obama’s] description of his new Syria policy was more modest and tepid than his explanation of the Iraq piece of the strategy, he does appear to have committed the United States to just that course. More than that, it will mean putting the resources, prestige and credibility of the United States behind this effort. The $500 million now appropriated is a good start, but it is only a down payment on a much larger project” (p.8). The US goal of training rebels in Saudi Arabia and Turkey is an indication of this too. On September 10, about two weeks before it started bombing Syria, Washington declared that Saudi Arabia had given it the green light to train a rebel army in the Arabian Peninsula. “We now have the commitment from the Kingdom of Saudi Arabia to be a full partner in this effort — the train-and-equip program — to host that program,” one official was quoted as saying by the New York Times. The Brookings Institute in its proposal for an invasion of Syria: “The Saudi offer to provide facilities to train 10,000 Syrian opposition fighters is one of reasonable possibility, although one of Syria’s neighbors would probably be preferable. Jordan already serves as a training ground for America’s current training program and it would be an ideal locale to build a real Syrian army. However, Turkey could also conceivably serve that purpose if the Turks were willing” (p.10). About two months later, in November, after US Vice President Joe Biden met with Turkish President Recep Tayyip Erdogan in Istanbul, it was announced that Kirsehir would be used by Turkey to train Syrian anti-government forces that the US would equip against Damascus. The report also makes it clear that building the new opposition army “should not mean bolstering the existing ‘Free Syrian Army’” (p.10). Instead, the existing US-backed insurgent groups will slowly be swallowed or destroyed by the new opposition force that the US and its allies are constructing. In mid-November, the Pentagon also presented a proposal to the US Congress, saying that it wants to arm Iraqi tribesmen with Kalashnikov rifles, rocked propelled grenades, and mortars. What is omitted is the cross-border dispersion of these tribes in both Iraq and Syria and the possibility that these weapons could be used in an attack on the Syrian government. The talk about supporting “moderates” is very misleading. It is already clear that the ideology of the proposed insurgent army is not a key issue in practice for many US officials. There is also enough evidence to show that the Free Syrian Army, Al-Nusra, the ISIL, and the other insurgent forces are also collaborating and trading fighters. In the end the ISIL may be used to incubate fighters or collapse, like the Free Syrian Army, into the proposed invasion force to occupy Syria. General Dempsey said that “the anti-ISIL campaign could take several years to accomplish.” Leon Panetta, the former head of the CIA and Pentagon, has also claimed that this war will turn into a thirty-year US military project that will extend to North Africa, West Africa, and the Horn of Africa. According to Brookings: “At some point, such a new Syrian army would have to move into Syria, but only when it was ready. Only when a force large enough to conquer and hold territory – something on the order of two to three brigades -were ready should it be sent in” (p.11). A war of attrition that that will take years of fighting is underway. This matches up with the ideas about training an insurgent invasion force over the years. In their joint statement Senators McCain and Graham said that President Bashar Assad will not stop fighting the so-called “moderate” US-backed insurgents “that remain committed to his ousting- especially when the United States and [its] partners still, correctly, share the same goal and will now be arming and training Assad’s moderate opponents.” In other words, the US-trained Syrian forces will ultimately target the Syrian government.